Or visit the FAHLC Latest News page. The Healthy Connections project has received a £140,000 grant from the National Lottery to help provide residents with a range of activities aimed at increasing their social contact and support. The activities on offer include photography classes, a book and film club, table tennis and badminton sessions and a rambling group. For more information, visit the Health and Wellbing page. A new Lottery funded project for people aged 18+ living in South Ward has launched. Aimed at providing people with more social contact and support within the community, the scheme provides access to a range of activities and a Wellbeing Worker to help people develop and achieve their own personal health and wellbeing goals. 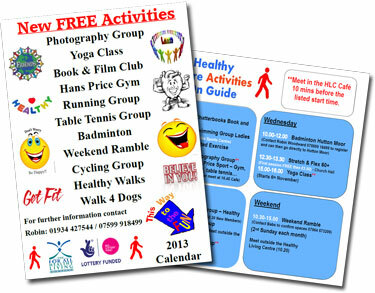 There's more information on our Health and Wellbeing page where you can download a copy of the Weekly Activities Timetable. Whether you need the internet for work, leisure or study you can now use your own devices in the community library. The network also extends into the café and the GP waiting area. To use this free service, please speak to a member of library staff to set up an account. 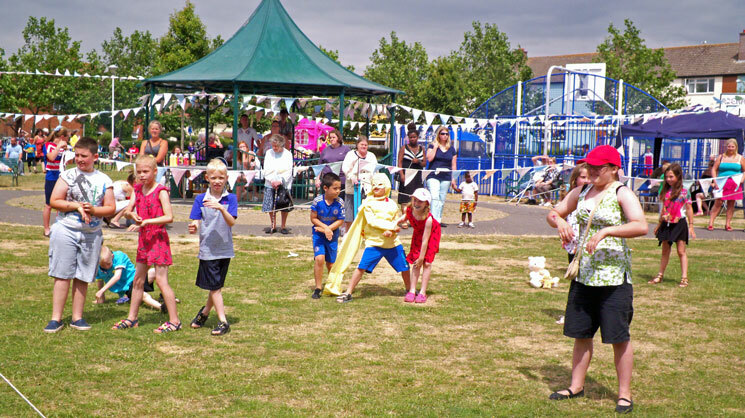 Coniston Green Park and the For All Healthy Living Centre were buzzing as they hosted the Community Fun Day. 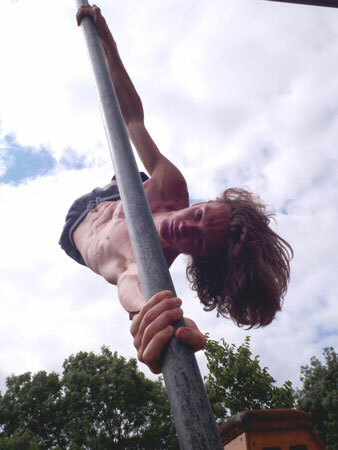 FREE, a local group of free runners, put on amazing displays of their skills and ran workshops as part of the fun day organised by the For All Community Events group. As well as the free runners there were plenty of stalls, activities and lots of good old fashioned fun to be had. Local volunteers ran many of the stalls and recycling was the theme of the event which saw traditional games and junk modelling from the Alliance Homes Bournville Team. Scrapstore who are soon to be based in the area, were represented and ran a free workshop. The Mayoress was given a beautiful bouquet of cornflowers which had been grown on the community allotment. On the edge of the green, in a bright pink gazebo, librarian Alice read stories to youngsters. Altogether the event was a wonderful success and residents, who are proud of their positive recycling record, were helped to clear it all up at the end of the day by a mini recycling centre which was provided specially by the North Somerset council team. The For All Healthy Living Centre was one of the venues used by BBC local radio during their week-long visit to Weston-super-Mare. As well as reports from in and around Weston, the entire Friday morning show was broadcast from the FAHLC café where they interviewed a range of local people as well as Chief Exec, Mark Graham. Click on the link here to listen to presenter John Darvall's show again. 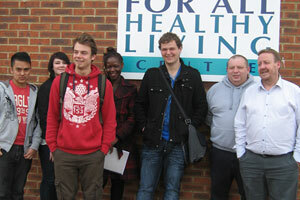 Weston College Public and Environmental Health students visited the For All Healthy Living Company recently. The All Healthy Living Company runs the Lonsdale Avenue centre, manages the GP practice and operates a range of services and projects for people in the South Ward. Chief Executive Mark Graham is responsible for the social enterprise's annual budget of £1.4 million and 45 staff. A further 45 volunteers help run programmes which include walking and swimming groups. There is also a community cafe and lunch club for the elderly. Under new reforms, responsibility for public health passed to local government with the Government believing councils are better placed to influence the community through planning, education and leisure service powers. Public health directors who have worked for primary care trusts transferred into local authorities. Innovative health schemes include councils stopping smoking near to playgrounds and introducing outdoor gyms in parks and green spaces. Historically councils always looked after public health until the NHS took over in 1974. The latest Locality Health Centre Patient Participation Group Report, which includes results from the annual patient survey, has now been published. The Patient Participation Group was formed early last year with the aims of improving the service, listening to patients' views and informing patients about how the practice works. A key task is also to plan, carry out and respond to the annual patient survey. The latest survey was held in September last year and the results have now been included in the LHC Patient Participation Group Report along with an updated action plan and progress report. The report can be downloaded here (PDF, 230kb).